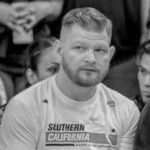 Elite Sports is back, and has asked BJJ Legends Magazine to review a couple pieces of their new no gi apparel line, which are selling at very reasonable price points. I’ve selected their Star Series Black/Purple long-sleeve training rash guard – at $24.99 – and Plain Grey Compression Training Spat Pants – priced at $15.99 – for review, and was very pleased with the products overall. Today, I’m reviewing the Elite Sports Star Series Black/Purple Long-Sleeve Training Rash Guard and Elite Sports Plain Grey Compression Training Spat Pants and was initially rather shocked at the price points of both. The rash guard sells at $24.99, less than half of what we’re seeing in the Jiu-Jitsu market today, on average, and the spats are only $15.99, a very reasonable price considering competitors are sometimes charging as much as 4 times that price. Once again though, I came in with low expectations because of the cost and, once again, I was proven wrong. These items have been tested and washed over 30 times at this point, training 3-4 times a week, and sometimes sit wet in a gi bag for a few hours before they get tossed in the wash. When I unboxed each item, I found a lack of frills with each piece folded neatly and sealed within their own bag. The rash guard is made of a blend of polyester and spandex, has a good balance of purple and black, and incorporates the Elite Sports hawk mascot on front and back in a subdued, yet polished design schema. Additionally, each rib panel has a star design and the back panel incorporates a swallow tail type design in a muted shade of the same purple below the shoulder seam. The flatlock seams that Elite uses are durable and bomb proof, and I was immediately impressed by the heavy feeling of the bottom seam. The user immediately gets the impression that the rash guard won’t ride up during long rounds, either tucked into your spats or your gi pants. The spats are a gray/silver color upon unboxing, made of similar fabric as the rash guard, and take similar no-nonsense design cues. The only design elements in the gi outside of the solid gray colorway is in the thick elastic waistband, which incorporates the black winged Elite logo and smaller hawk logo in an alternating motif there around. I am a big fan of subtle branding and was pleased to find Elite continuing their same trend. The gusset seemed wide out of the box, but like the rash guard, there were no loose threads to be had, and the quality of work seemed to be there. The only thing I’d note here is that the elastic waistband does seem to be a bit wide – perhaps to limit movement – and the gray is a bit shiny for my taste, though it does darken up and matte as you sweat. Overall, I was very happy with the quality and craftsmanship of each piece. I really enjoyed testing this rash guard to the point that is now my go-to whenever it’s clean. Because of my training schedule, it means this rashie is being used at least once a week and sometimes more. This is partly due to the fact that it feels a bit thick in the hand and that was well wanted during the winter training season, but also because it’s made well, is wildly durable, and doesn’t smell after hard training – even after being thrown into an air tight gi bag for hours on end! The left cuff did have a thread come loose, roughly after 12 washes – but after cutting it, no other craftsmanship issues occurred. All of the seams continue to feel flat against the skin, cause no irritation, and work well on their own or underneath a gi. I have had absolutely zero issues with these spats and they’re used as often as the rash guard. The spats feel thinner than the rash guard, but all of the cuffs, seams and waist band are all built very well. As I mentioned in the look section of this review, the spats get darker as you sweat in them, but there is no compromise to quality here. Fits well, feels good, and performs even better! As I mentioned earlier, the rash guard has had no issues with turned seams, discomfort or poking threads at any point. Honestly, I’ve been surprised at how well it fits. I am 5’7” and walk around at 155 lbs, so sometimes I sit between a medium and large; not so with Elite Sports. 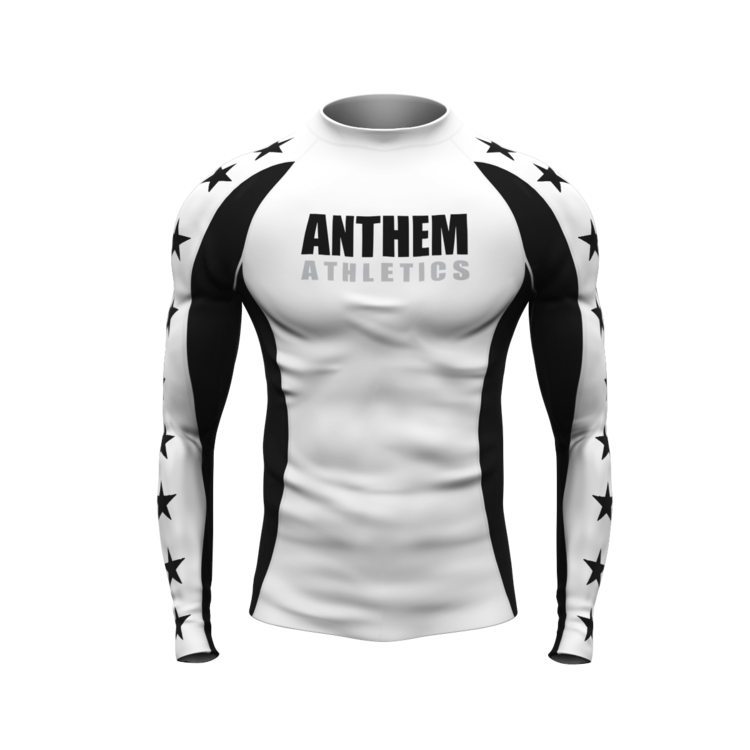 The medium rash guard fit perfectly, hasn’t shrunk at all, and continues to perform optimally. Sleeve length here a touch long so I get a couple of wrinkles in the forearm, but nothing noticeable considering everyone has different arm lengths to contend with in something like compression gear. The rash guard is smooth against the skin, seems to improve circulation, and is easy to get on and off while keeping a tight cuff at the wrists and not riding up once during extensive training. The spats also performed well and haven’t had any discomfort issues. With shorter legs and a longer torso, they do feel a touch long but I’ve found that I’m the exception on a spats fitment guide more than once. The large waist band has turned over on me once or twice during training, but never caused discomfort or failed in operating suitably. It’s smooth against the skin and is incredibly tight at the cuffs to the point that they are sometimes difficult to take off at the end of training. 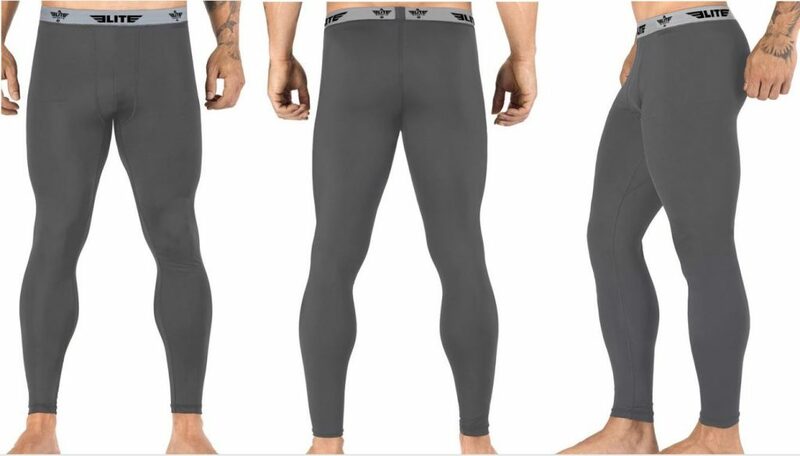 I’ve worn them for no gi, underneath my gi pants in the winter, and even on a few runs and, each time, have been happy with their performance. Both pieces can be tossed in the washer and dryer for ease of cleaning. As I’ve mentioned earlier, I’ve let both items sit in my gi bag, which is a waterproof surf bag, for hours on end and haven’t to deal with any recurring stink issues. Instead, they don’t retain any smells, always come out of the washer and dryer ready for wear, and have continued to perform even after 30+ washes! Elite Sports has done it again. For the price point, you can’t beat this kind of value for gear that looks good, performs well, and is priced well below its worth. In all of the work I’ve done in both pieces, I’ve only had one loose thread, easily dealt with, and will continue to wear these items long after the review has been submitted!